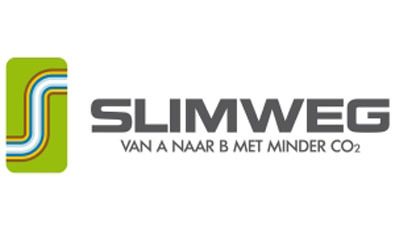 In March 2008, the first Flemish mobility centre ‘Smart on the road’ (or Slimweg) was introduced in the city of Antwerp. This centre serves as the first in a row of five Flemish mobility centres planned. By the end of 2009, in all five Flemish provinces a brand new mobility centre should be up and running. In order to combine forces and to offer Flemish citizens and companies tailor-made travelling information on sustainable modes, all Flemish transport providers (bus, train, car sharing, car pooling, taxi, cycling federation and walking federation) joined forces and arranged for the first mobility centre ‘Smart on the road’ (or Slimweg). This centre serves as the first in a row of five Flemish mobility centres planned. In these mobility centres, companies and citizens can ask questions regarding their travel: walking, cycling, bus, tram, train, taxi and car sharing. Information can be sought online (www.slimweg.be), via telephone or by simply passing by the mobility centre reception desks. Further, a new online travel planner offers door-to-door travel information service. Not only travelling information on sustainable modes such as walking, cycling, bus, tram and train are included. But also carpool parks, park&ride parks, car sharing stations and taxi stands throughout the Flemish region are taken into account. Moreover, the website offers an overview of how to reach the most important tourist locations in Flanders in a sustainable way. Cultural events, amusement parks, shopping centres, etc. are all listed and travel information on sustainable modes is provided for. The Antwerp mobility centre proves to be successful. By the end of 2009, when all five Flemish provinces mobility centres are up and running, more results will be available.